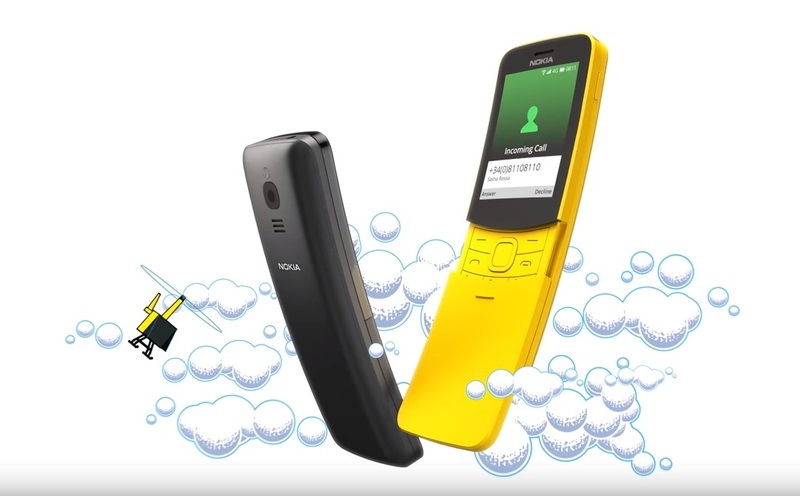 AT MWC 2018, Nokia announced the upcoming smartphone this year, including the Nokia 8110 which was hailed “Matrix Phone” or “Banana Phone”. The comeback of Nokia 8110 is called the banana phone because of its shape and its color, which is Yellow. The Nokia 8110 has a curved protective cover that can slide open to answer calls and slide back to finish it. The banana phone has 133.45 x 49.3 x 14.9 mm with 177 grams. The phone has a 4G device with new features such as WiFi hotspot, Google Assistant, and Google Maps. The removable battery has 1,500 mAh battery3. The rear camera has a 2MP with LED flash. The phone storage has 512 MB RAM and 4 GB2 ROM with a MicroSD card slot up to 32 GB. The operating system has Smart Feature OS supported by KaiOS. It runs with CPU MSM8905 Dual Core 1.1 GHz. The upcoming phone is available for pre-orders and the company confirmed the release date which is on August 15th. The price starts at $ 75.06 and the available colors are Black and Yellow.